It seems like everybody is still obsessed with changing their face shape. We’ve heard of contouring, strobing, baking, and clown contouring. Just when we thought that it was going to stop at that, a new technique called “tontouring” comes in. Tontouring involves the use of self-tanners instead of regular cream cosmetics, with the simple explanation that these last longer. This means that it is now possible to wake up with perfectly chiseled cheeks and carved jawlines, because no one has time to contour every day. The quirky name was developed by beauty entrepreneur Marissa Carter, owner of Irish self-tanning company Cocoa Brown. 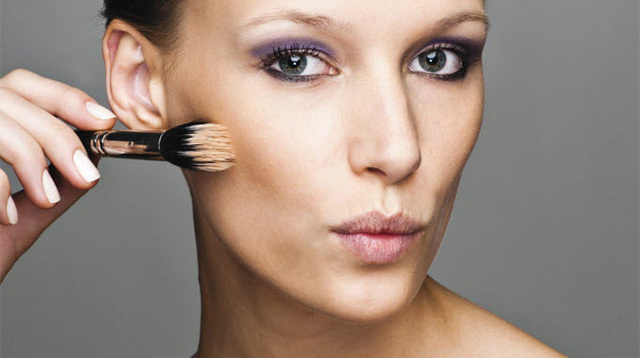 While the promise of only having to contour your face once a week sounds enticing, we have a few doubts about this. We’re not too sure if we’re willing to use self-tanner on our faces—they’re formulated for the body after all. They’re also quite easy to mess up, so you risk having weird brown streaks on your face. If you’re willing to try this trend out, just make sure to pick products wisely. Marissa suggests to use self-tanners that come in a mousse formula, so it won’t clog your pores. When picking a shade, select one that’s not too dark—you don’t want to look like a zebra of sorts.